Have you started looking for Halloween costumes yet? I really wanted my husband to be the Bass head (lol) but then I found the Bacon and Eggs Adult Couples Costume. I chose that one so we would both have a costume this year. I still haven't decided which one I want to be..bacon, eggs? I'm really happy with these costumes. Not only is it a unique couple's costume, but it is also super easy to get on and off. AND I can even wear the egg costume when I'm pregnant! 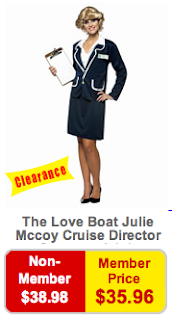 lol The costumes are both very durable and will last for however long we will need them. One thing to note is that it is not the same on the back. It is just thin material with with a tie. I really like this because it will allow me to where a jacket or coat without hiding my breakfast (ha!) Also when you get to parties or wherever, you can take your jacket off without having to take the whole costume off! Brilliant! a Rafflecopter giveaway Giveaway will end August 17th at 11:59 pm. Sponsored by Wholesale Costume Club. I received a product for review. No other compensation was received. All opinions are my own. This promotion is in no way sponsored, endorsed or administered by, or associated with, Facebook. We hereby release Facebook of any liability. Winner(s) will be contacted by email and will have 48 hours after the giveaway ends to respond before another winner is picked. I received one or more of the products mentioned above for free using Tomoson.com. Regardless, I only recommend products or services I use personally and believe will be good for my readers. Oooo.... They have some really cute costumes. I'll have to browse their site more! This is the contest for me. I LOVE fun costumes! That bass is GREAT! 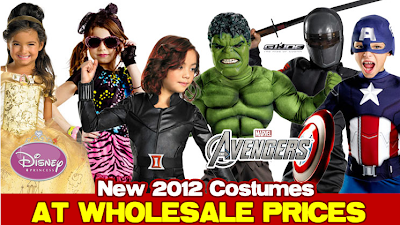 Halloween is huge in our house and I love looking at all the awesome costumes! Gets me in the spirit already, lol! super cute giveaway! Thanks for the chance! love all the costumes! it would be great to win! My little grandsons are already planning their Halloween costumes. Thanks for the giveaway! I think my daughter knows what she wants to be but I need to figure something out. Would LOVE this for my 3 year old's halloween costume! Great contest! I love the Bacon & Eggs Costumes! Love all the cute costumes! Some great costumes! Would be an awesome win for Halloween. This would be the perfect addition to our dress up closet! We love halloween thanks for the post and the giveaway! We plan all year for Halloween! Thanks for the giveaway! It's never too early to start getting ready for Halloween! We have some events coming up that we need to have costumes for - this would be a great help towards that cause. My son loves to dress up -- this would be great. Oh good my daughter just informed me that she wanted to be spiderman for halloween and this will make it much easier! Can't believe it's time to think about Halloween. Time if flying!!!! What an awesome giveaway. My daughter is in LOVE with Cinderella right now. I struggle every year to come up with a costume for Halloween to wear but it looks like there are tons of great ideas on this site. Fingers crossed that my name gets picked. Thanks for the opportunity! I would love this my oldest was chuckie last year and looking for something to top it. My daughter would love a princess costume for her birthday or Halloween. My son has yet to decide which superhero he will be for Halloween. going to Disneyland soon, I NEED a princess dress! I love the bacon and egg! Looking forward to this Halloween. The kiddo is now old enough to "get" it. Costume Dress-up days are a hit here! Thanks for the chance to win this. Thanks for the great Giveways!We love Halloween!! 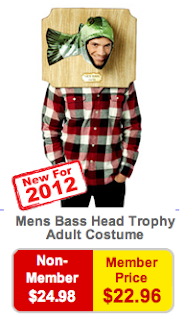 this would be great to win to use at halloween this year! my kids would love a costume. The bacon and egg costumes are so cute. I love Halloween! I've been trying to decide what my kids and I will dress up as already! I get to help with the Halloween party for school this year too! Yay! 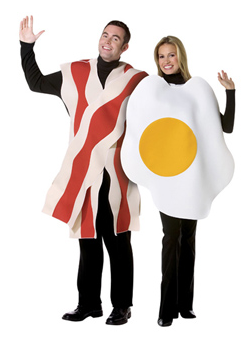 Love the adult bacon and egg costume! how cool is that? 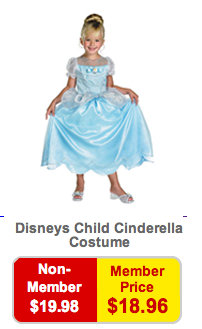 I'd love to get the Belle costume for my daughter. 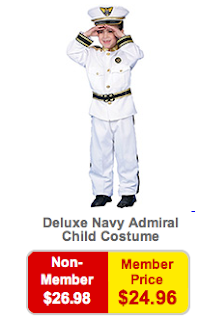 I would love to search the site for a newborn sized Halloween costume. Great giveaway - I'd LOVE to win!